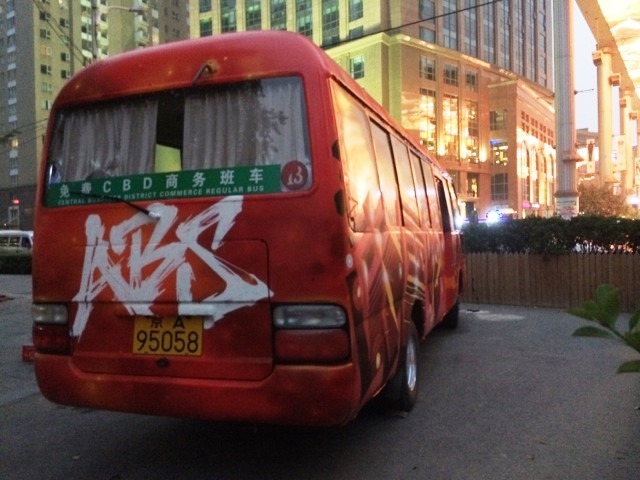 Those working in CBD are probably familiar with the free shuttle buses taking them around CBD, from subway stations to commercial / office buildings as well as residential compounds. 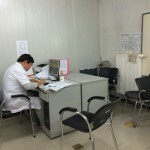 Since the service opening back in 2007, Beijing CBD free shuttles have accumulated over 260,000 km and safely offered a ride to over 2.13 million people. 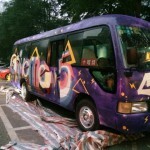 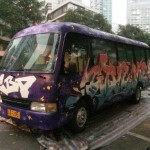 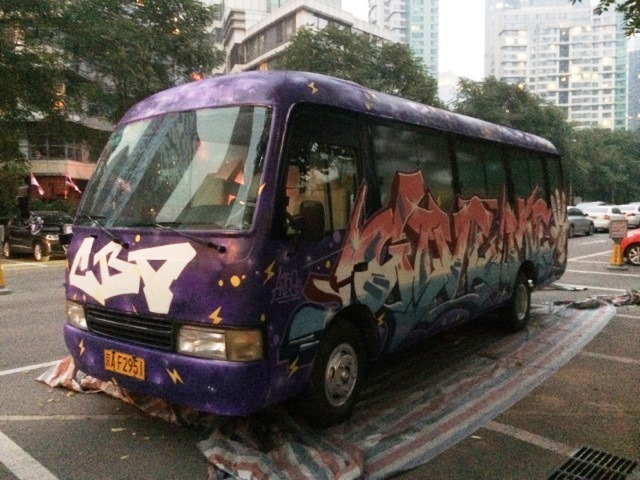 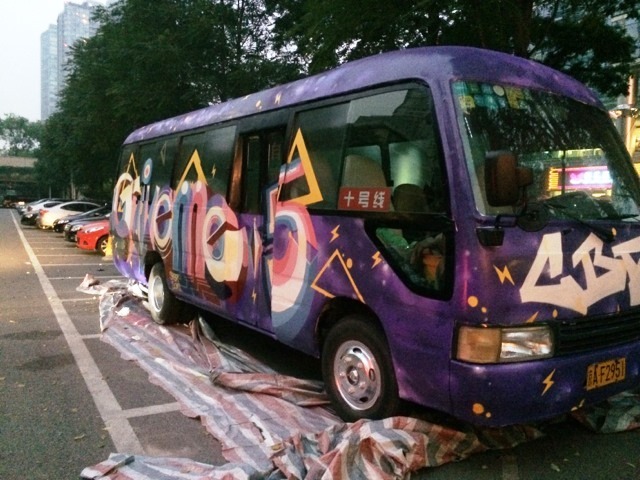 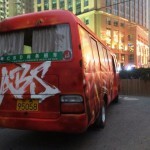 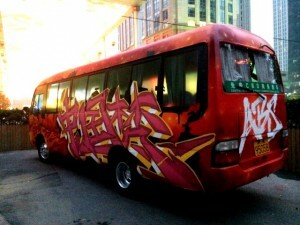 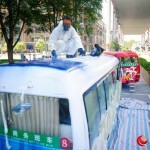 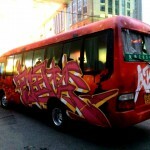 During Mid-Autumn festival holiday 2014, Central Business District Regular Commerce buses have been painted or personalized with graffiti. 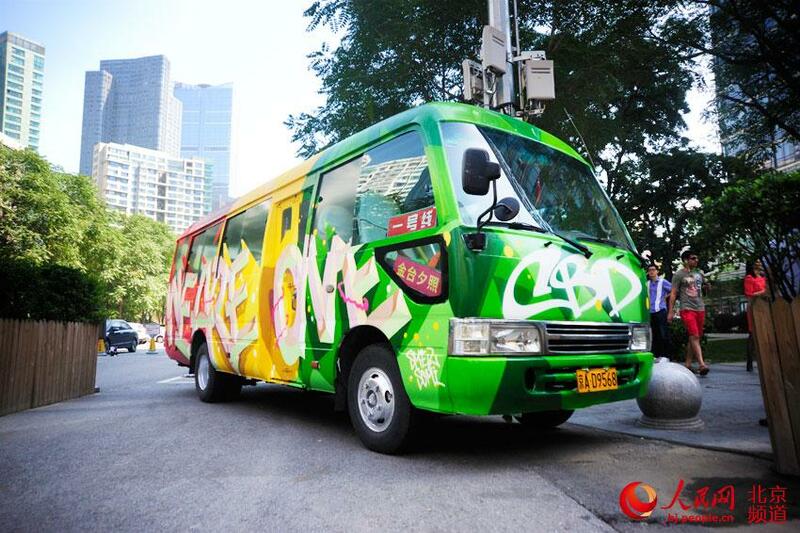 The intention is to bring fashion, beautiful patterns and “positive energy”, “international norm”, “Chinese Dream” to people commuting by CBD free shuttle bus and show people the “CBD fun life”. 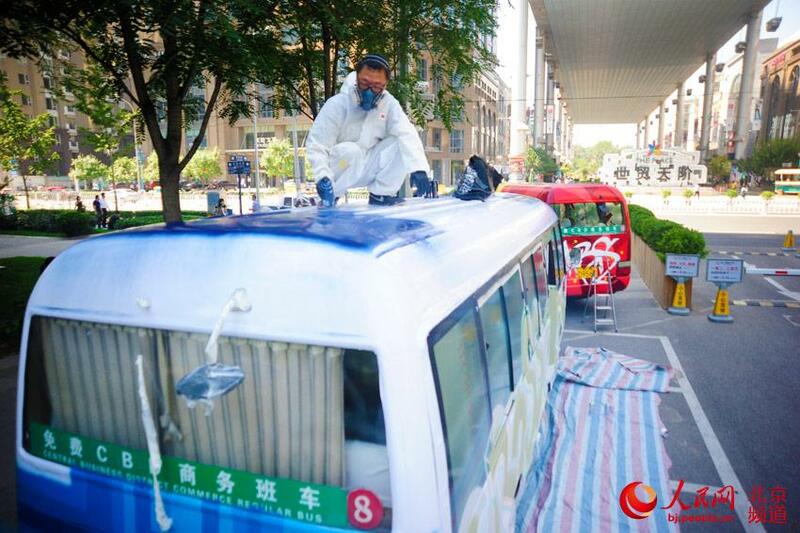 This mobile Art buses are aimed to support Beijing CBD mass cultural activities as well as to attract people to use public transportation. 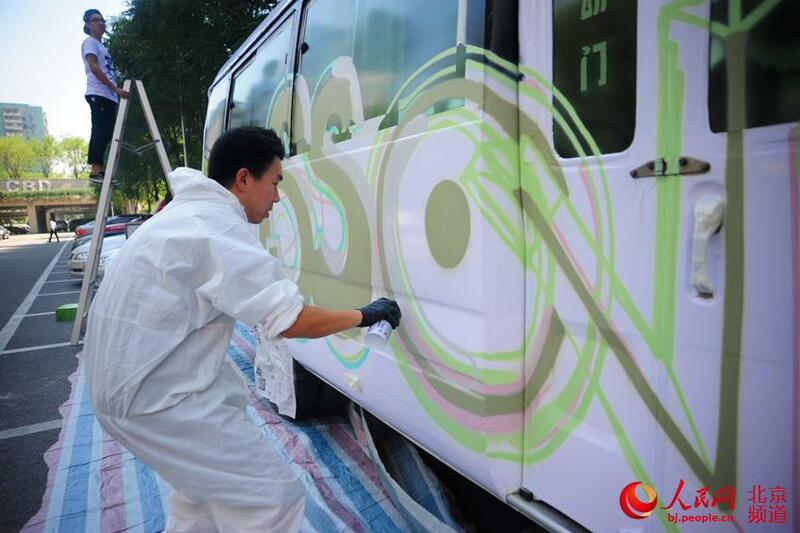 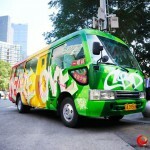 Graffiti will be painted on buses until September 30: those interested can go to the eastern side of The Place (South-West of Central Park residence) and have a look at the on-site graffiti creation process.